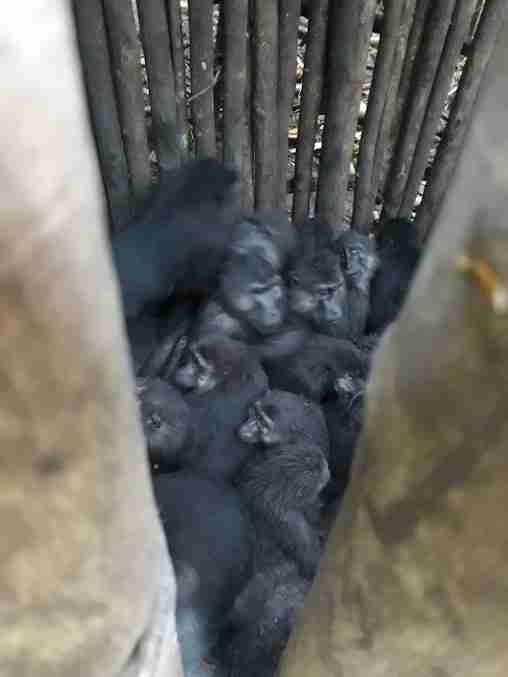 When Simon Purser received photos of monkeys inside a small wooden shack, he knew he had to do something — and quickly. 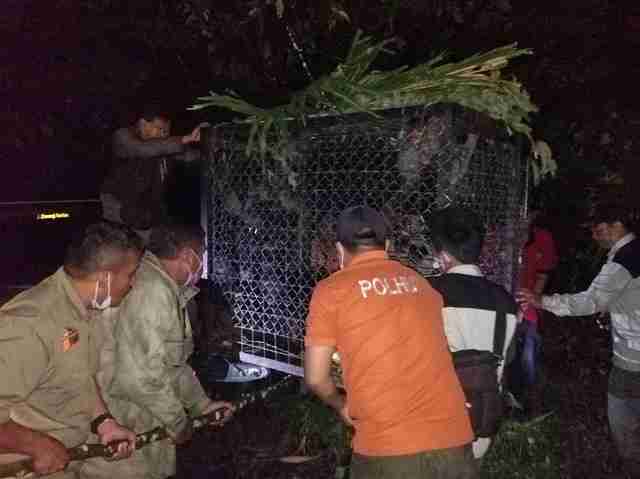 Two weeks ago, farmers in Larompong, Indonesia, captured 32 Sulawesi macaques in traps after they’d started eating cocoa, cloves and rambutan fruits off the farmers’ plantations. 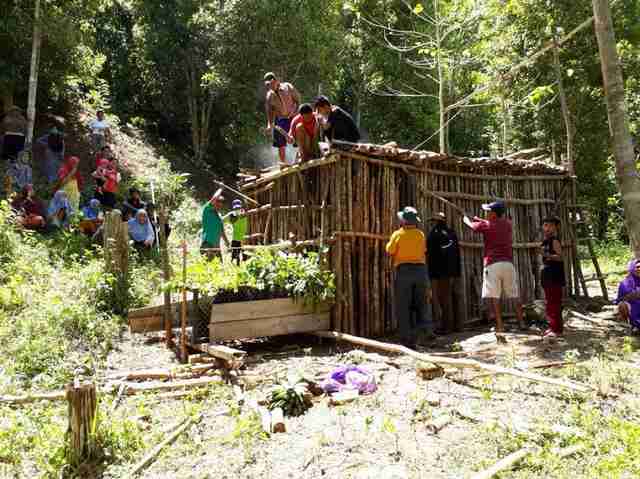 The farmers relocated the animals into a small wooden shack, and kept them in there for several days. Sulawesi macaques are a critically endangered species, and their main threat is habitat loss. 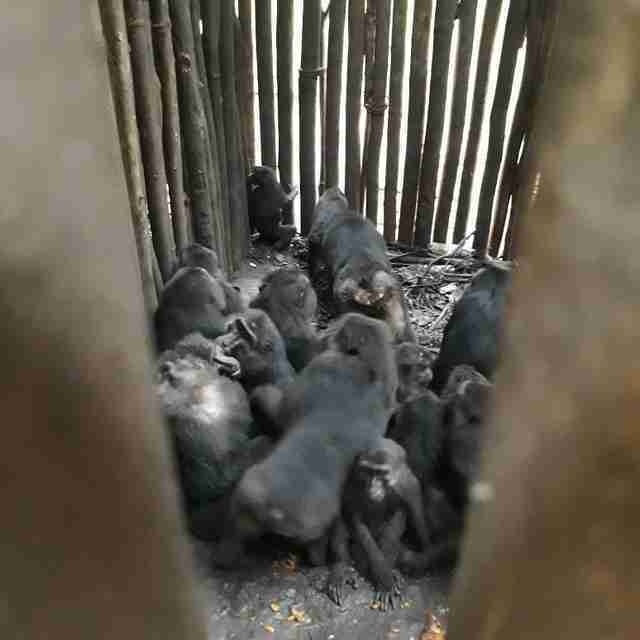 Once the forest disappears, so does their food supply, and many macaques, like the ones captured in the shack, resort to eating food on local farms to try and survive. But this can get them into trouble. 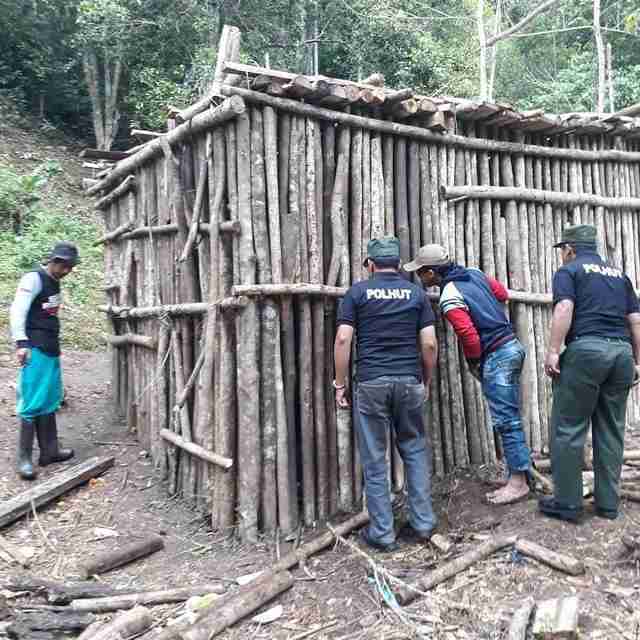 While the farmers did the right thing by alerting local government officials instead of killing them, the macaques had to stay inside the wooden shack for several days — and they were likely absolutely miserable. The shack didn’t have any beams or branches for the macaques to climb upon, which meant they lived among their own waste. 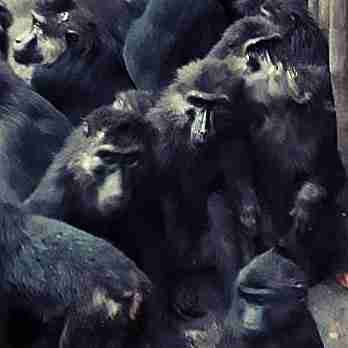 And the longer the macaques stayed inside the cage, the greater the chance was they’d get sick from the conditions. Purser worked with local authorities to come up with an immediate plan of action — they decided to move the macaques to a conservation area in the Faruhumpenai Mountains Nature Reserve. Moving them away from their home wasn’t ideal, but it would help the animals avoid future conflicts with farmers that might not have ended so well. The macaques have now been released into their new forest, and Purser believes they’re doing well. He’s also pleased by how quickly Indonesians worked together to get these macaques to a safer place. To help macaques and other wild animals who have been rescued in Indonesia, you can make a donation to Tasikoki Wildlife Rescue & Education Centre.